The two attackers are the leading scorers at the end of the 2015 Allianz hurling league. WATERFORD’S PAURIC MAHONY and Cork’s Patrick Horgan are both top of the charts after the completion of the 2015 Allianz hurling league today. Entering today’s final in Semple Stadium, Horgan was the leading scorer and enjoyed a four-point advantage over his Waterford rival. 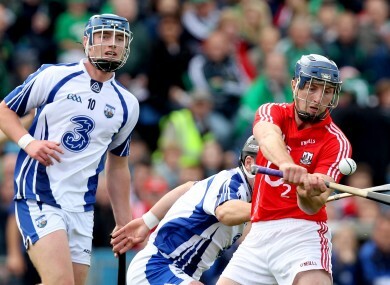 Horgan shot 0-7 for Cork during their defeat today to bring his spring total from eight games played to 2-87. But Mahony grabbed 0-11 for league champions Waterford to ensure he racked up 1-90 in their title winning campaign. The pair were well clear of the rest of the field and firmly established themselves as the leading marksmen in the country. Email “More good news for Waterford's Mahony and small consolation for Cork's Horgan”. Feedback on “More good news for Waterford's Mahony and small consolation for Cork's Horgan”.